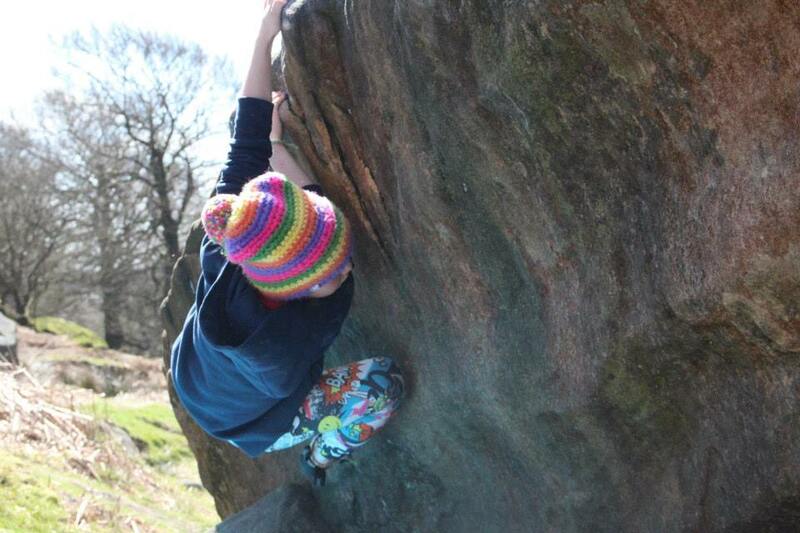 This was my first climbing trip to Stanage and was amazing! 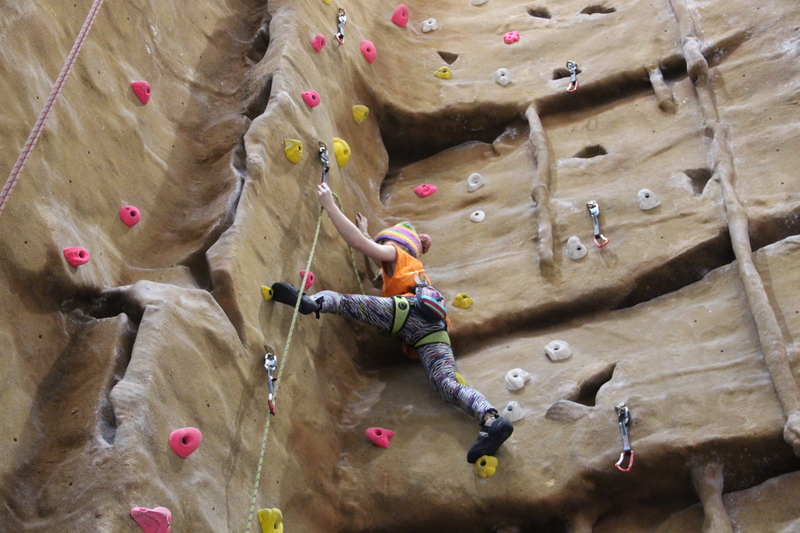 I was able to climb with Alex Norton, Alice Killington, Ed O’Grady and others from the Climbing Station. 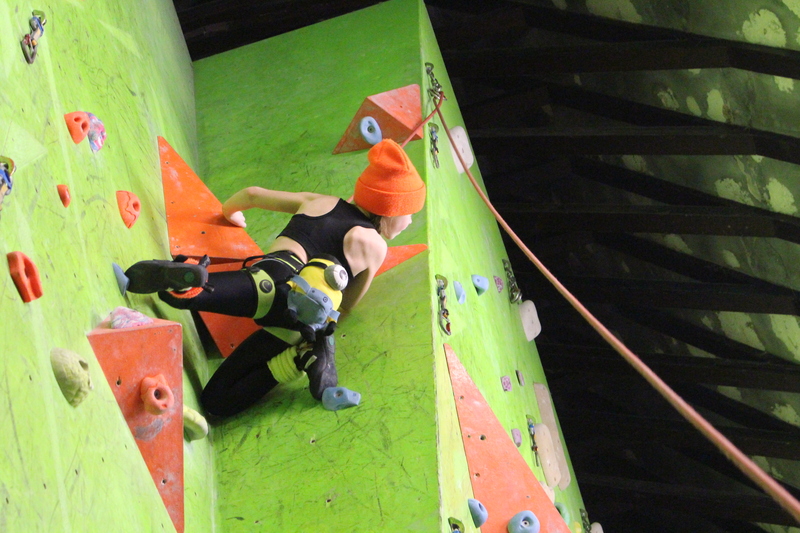 I topped a V4 on the Business Bolder, as well as flashing some V1s and 2s. My favourite was Lone Slab, which features a lot on my video! 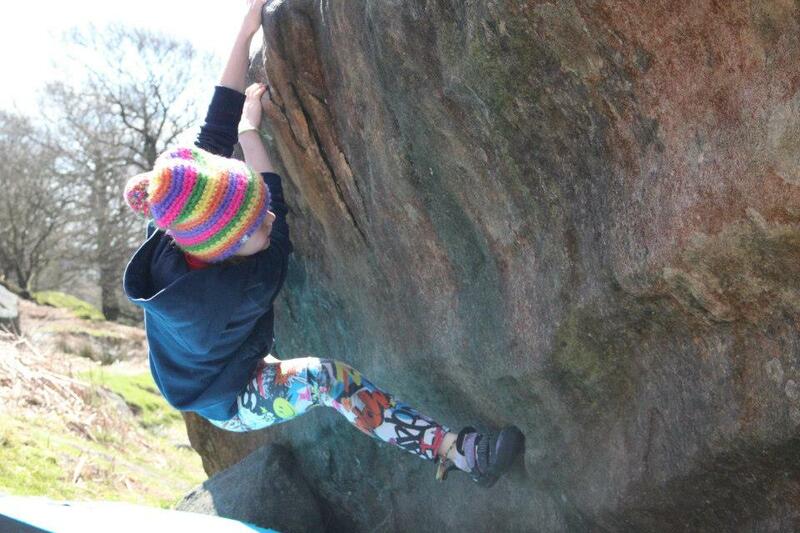 I hope to get out a few more times before Ratho, if the weather lets us. 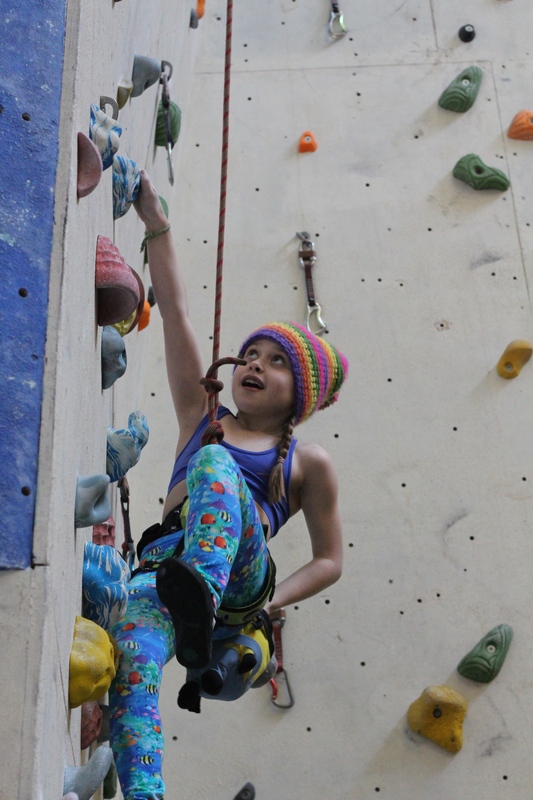 During the Easter holidays I went to Awesome Walls, Sheffield, with The Tower Youth Climbing Club (TYCC). 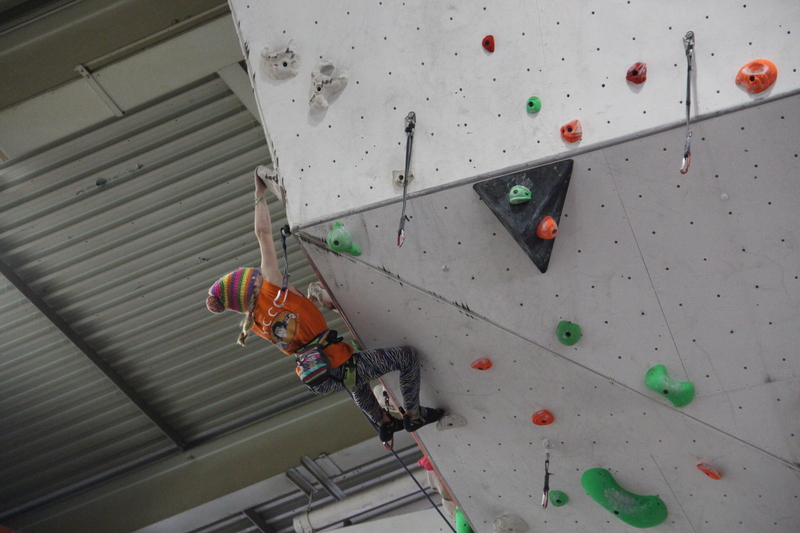 This was the second time I had been, and I wanted to do some high climbing, to get ready for the high walls at Ratho. 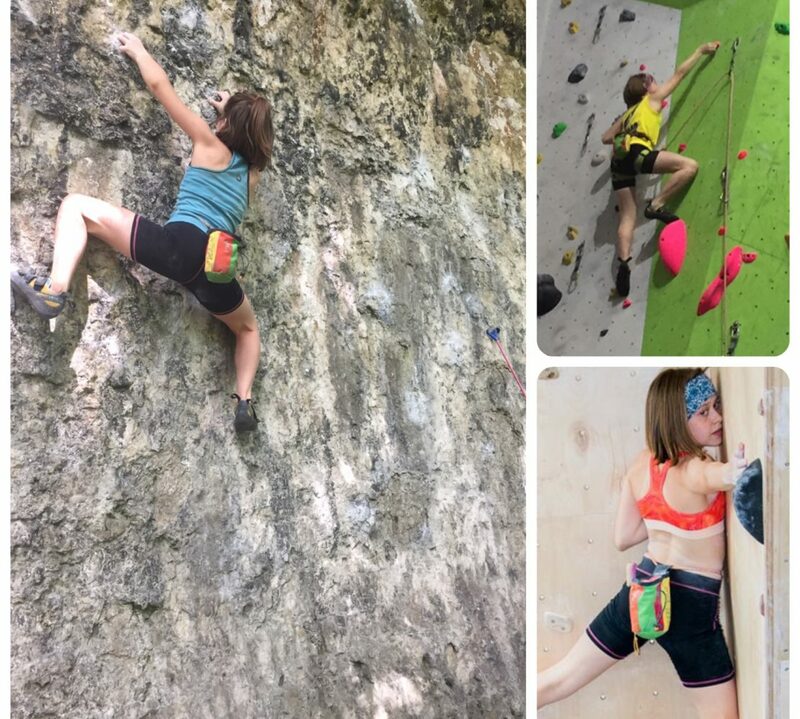 I led some routes on the prow and then led the 6b+ up the competition wall, all the way to the top! It’s definitely a long way down! Can you see me? Centre of the picture, near the top. 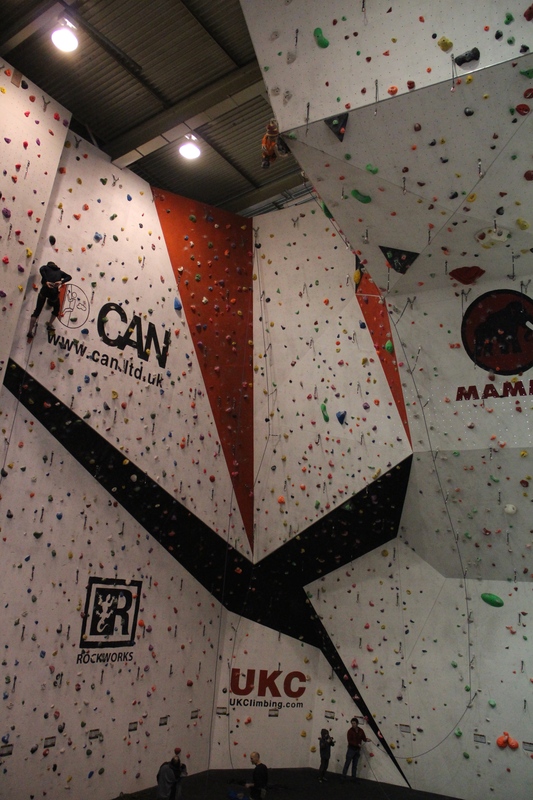 I went to the opening of The Climbing Unit, which is a cool new centre in Derby. There, I was lucky enough to meet Nick from ALPKIT, who offered me some sponsorship! 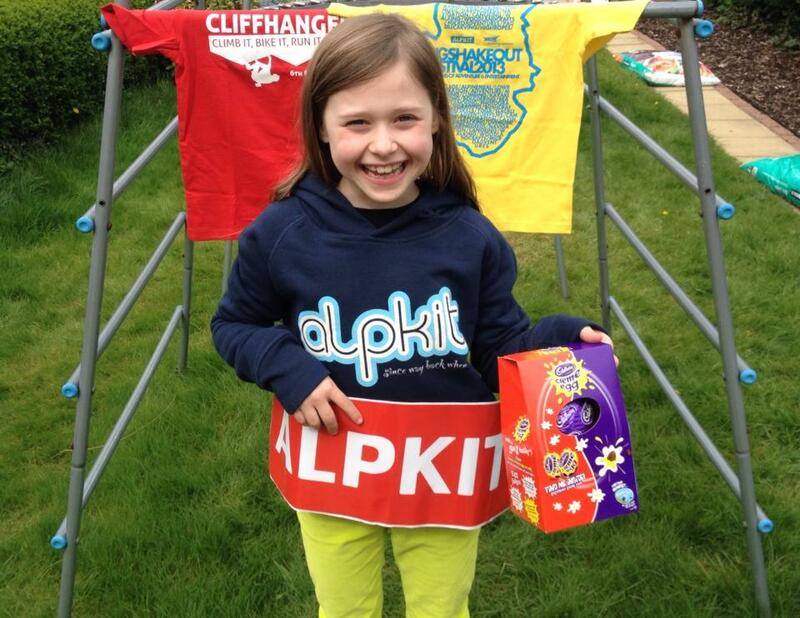 I’m now the proud owner of an ALPKIT hoodie, T shirts and lots of stickers! Oh, and thanks for the Easter egg!! 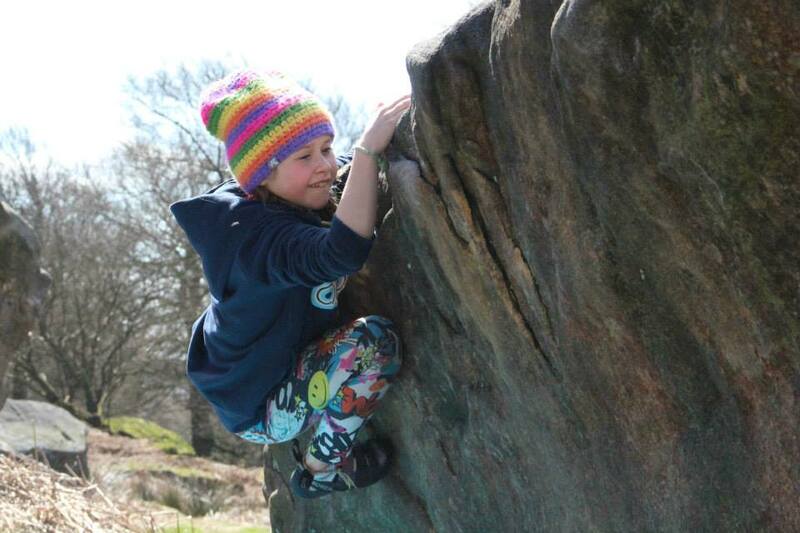 There were four rounds of the Midlands Youth (MY) series this year. 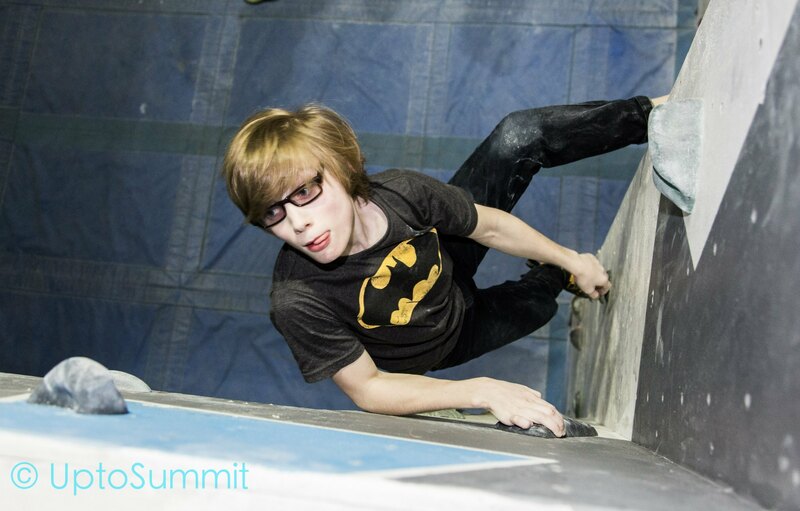 We started at Creation, then had a bouldering-only round at The Climbing Station, which was cool! 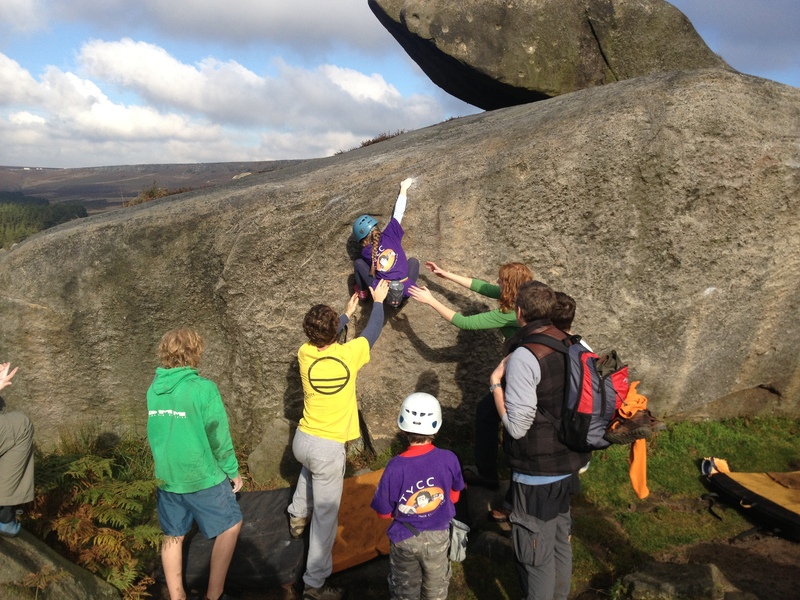 Big Rock was next, and we finished at Alter Rock on 1st Feb. I won each round and was really pleased with my scores. The MY Series set me up well to go into the rounds of the BMC YCS. 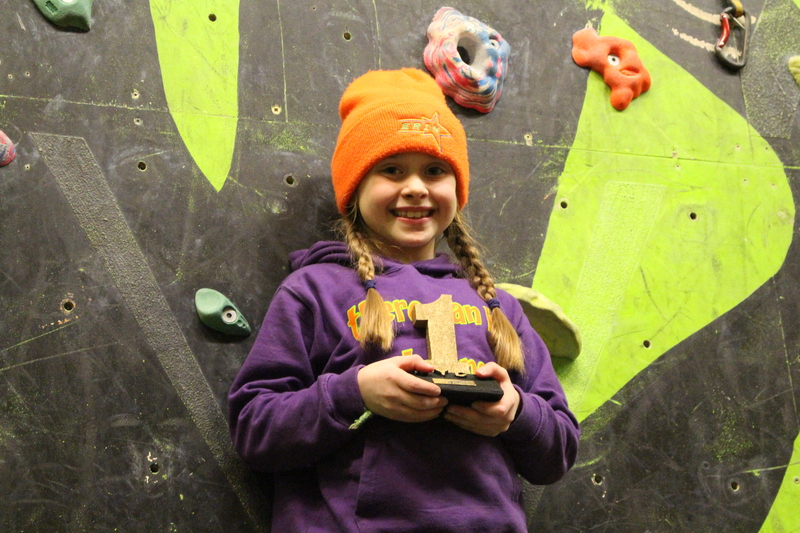 I won the first two rounds, which were at Wolf Mountain and The Tower. The final round at Creation was exciting! Three of us topped everything, so had to climb off against each other. Another girl and I matched each other again, so tied for first. 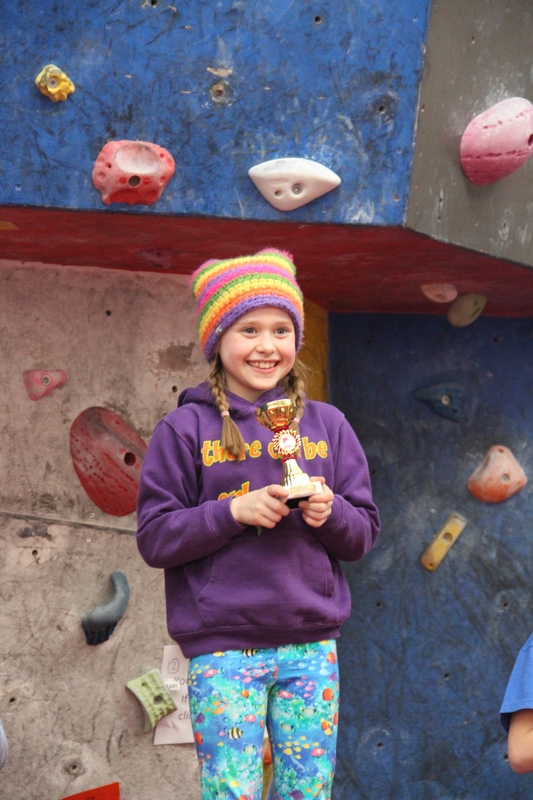 I was really proud to win my category and am looking forward to the finals at Ratho now!